Home News The Flux Arts Building is Officially Open! 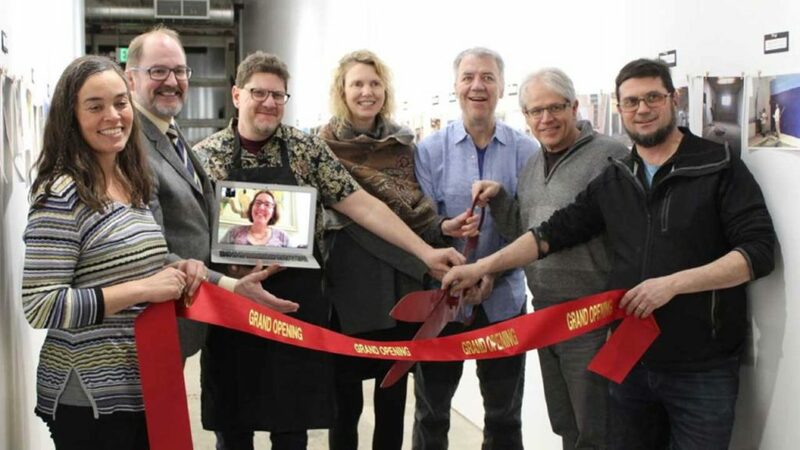 Kara Van Wyk of Potek Glass, Kevin Reich, Council Member, Ward 1, Josh Blanc and Layl McDill (via FaceTime), Jennifer Young and John Kraemer, Developers, Tim Gates, Architect and Malcom Potek cut the Grand Opening ribbon to start the festivities on February 15th. The Grand Opening was a smashing success! Over 400 people stopped by to check out the new studios and the Flux Arts Building. It was great to be able to talk to so many people about the remodeling of the building. We put up a display of photos in the “hub” (our communal hallway space), which is currently still up, showing several stages of the remodel. Want to know more?  Check out Layl’s blog of our journey to purchase the Flux Arts Bldg.